RUSH: Something dramatic, crucial, and extraordinary has just happened, ladies and gentlemen. It just happened mere moments before this program began. The timing certainly not coincidental. It happened at the White House. It involved the president of the United States and a pen. And what happened was a first serious slice taken out of Obamacare. Despite Senator John McCain’s best efforts to thwart President Trump and preserve this boondoggle, the president triumphs here at this stage. 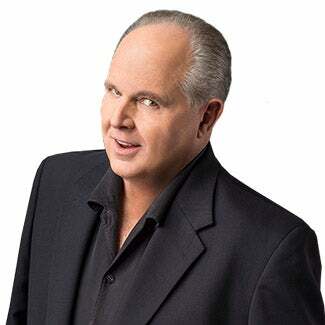 RUSH: So let’s go to the audio sound bites, you tell me what you hear. This is the signing ceremony today, executive order to promote health care choice and competition. We have two bites. This is the first. THE PRESIDENT: In a few moments I will sign an executive order taking the first steps to providing millions of Americans with Obamacare relief. It directs the Department of Health and Human Services, the Treasury, and the Department of Labor to take action to increase competition, increase choice, and increase access to lower priced, high quality health care options. And they will have so many options. This will cost the United States government virtually nothing. RUSH: We don’t care about that. THE PRESIDENT: And people will have great, great health care. And when I say people, I mean by the millions and millions. RUSH: And here’s the next and last bite that we have. THE PRESIDENT: I’m also directing Secretary Acosta to consider ways to expand these associations and these health care plans all across state lines. THE PRESIDENT: — and transformative in so many ways, change aimed at creating more and lower prices for millions of Americans. THE PRESIDENT: The competition will be staggering. RUSH: There you go. That’s right. THE PRESIDENT: Insurance companies will be fighting to get every single person signed up. And you will be hopefully negotiating, negotiating, negotiating. And you’ll get such low prices for such great care. It didn’t matter what Trump said; the left has their reaction to this. Now, here are the basics. Some things, the pictures of this were kind of incredible. Rand Paul, who came up with the shell of this idea, was introducing it and Mike Pence, the vice president. Rand Paul praised Trump for boldness and leadership. Rand Paul, when it comes to Obamacare, has been from the beginning of this opposed to anything that didn’t literally get rid of Obamacare. You know, all these previous health care bills that some of them started in the House, the ones that had their origins in the Senate, he wasn’t eager about any of them because in his mind they didn’t really change anything other than cosmetically, but he’s all aboard on this. And I think it has the potential to be a huge deal. Now, it’s not everything, it can’t be everything with just an executive order or executive action, but it’s something, and it’s more than we were ever gonna get if we had left it up just to the Senate or just to the House. What the executive order will do is erase existing rules on small businesses banding together to buy health insurance through what are known as association health plans. It will lift limits on short-term health insurance plans, according to an administration source, and the order here directs the Department of Labor to modernize rules to allow small employers to create association health plans. Let me translate this for you, what all this news media-speak means. The problem with Obama — well, one of the many problems is that healthy people are not buying it. And the reason they’re not buying it, it’s twofold. It’s wildly expensive, it’s irrationally expensive, and it’s irrationally expensive because the mandate in Obamacare was going to force them to buy it, and their purchases were gonna fund health care for the poor and the elderly and others who couldn’t afford it, and so the burden was on the young and healthy. It never made any sense. In a free market the young and healthy would not buy health insurance other than catastrophic because they’re young and healthy. They don’t need it. So the mandate was created requiring them to, and they just didn’t do it. They opted to pay the fine or they just rolled the dice that the IRS couldn’t catch ’em with all the other things the IRS has to do. And so there wasn’t anywhere near enough money coming in to fund, at the front end or the back end, Obamacare. And it led to a whole lot of people without insurance. This change will allow for the market to begin creating policies that match the need and desire of customers, meaning they’re going to be allowed to scrub existing policies and rewrite new ones that only offer X coverage of this, this coverage, that coverage, not mandate universal coverage for every damn thing that a young 25 year old guy will never need, like contraception coverage. Not gonna be required to buy this kind of stuff. The insurance companies will now be free to create policies that actually feature things people want. The theory of competition is such that if a number of insurance companies play the game, then they’re gonna be in competition with one another to get those dollars, and the policies will have to be reflective of the market and desires and then cost will lower because of the competition. Small employers will be allowed to form their own groups to create association health plans and qualify for group coverage based on their needs and their desires. No, it already is in a tailspin. It makes no sense for the healthiest and youngest Americans to be paying the most! They won’t buy it. They’re not in the market, therefore none of their purchases get factored into the total amount of money in the pool that treats people who are in need of it. Obamacare was designed to fail just this way so that the demand for single payer would be met much easier. Karen Pollitz, a senior fellow at the Kaiser Foundation, used to work for Obama, said, “Within a year, this would kill the market.” No, no, no. It will kill Obamacare and the phony and fake market. RUSH: There is another aspect of Obamacare that is being rolled back. Short-term health insurance plans. The Trump administration is gonna end Obama-era restrictions on short-term health insurance plans. They were not legal under Obamacare. “Short-term plans allow insurers to sell stopgap policies and procedures, which don’t cover preexisting conditions or mental health services and a whole lot of other costly things.” In other words, you’re going to be able to go buy what you want and not be forced to buy a bunch of things that will never affect you. You’re not gonna have to help pay, for example, for preexisting conditions if you don’t have one. You’re gonna be able to go out and buy a tailored policy, and the coverage could extend for as long as a year. Current limit is three months on these kinds of policies. People can’t make plans on three months a year. It’s a little bit more time ’til you figure out where in the marketplace you want to be as a buyer. It’s all good, folks.